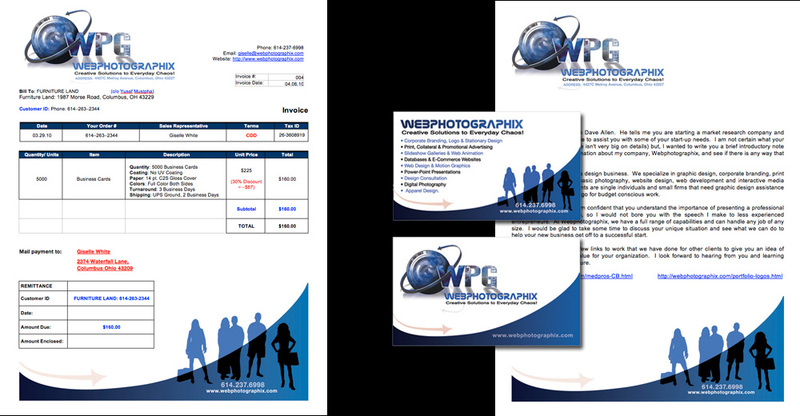 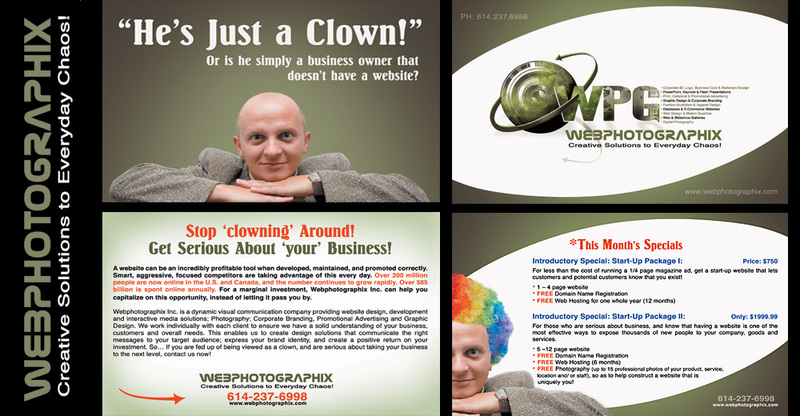 Whether you are starting a new business or looking to revamp your present image, Webphotographix will help you portray the true identity of your business with creative, cutting-edge, graphic design, website design and photography! 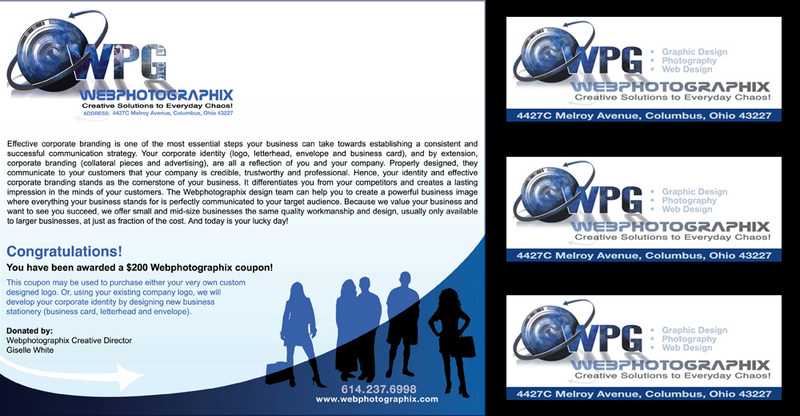 Corporate Branding for a freelance, Graphic Design and Web Development business operating in Ohio. 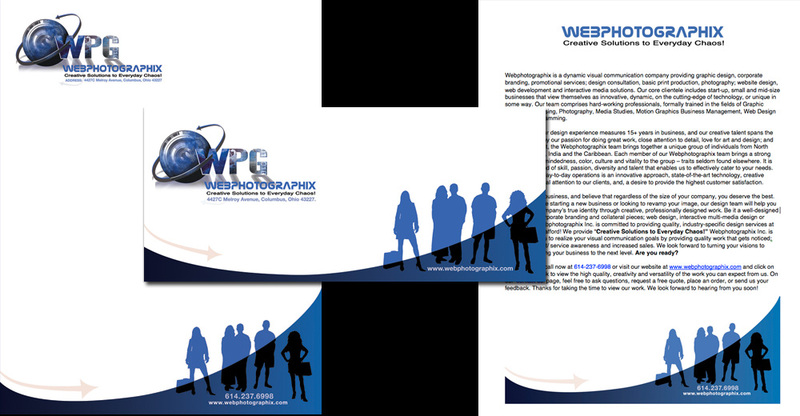 Both text and picture-graphic design logo were created, to reflect a modern, creative, tech-savvy, Graphic Design and Web Development business company. 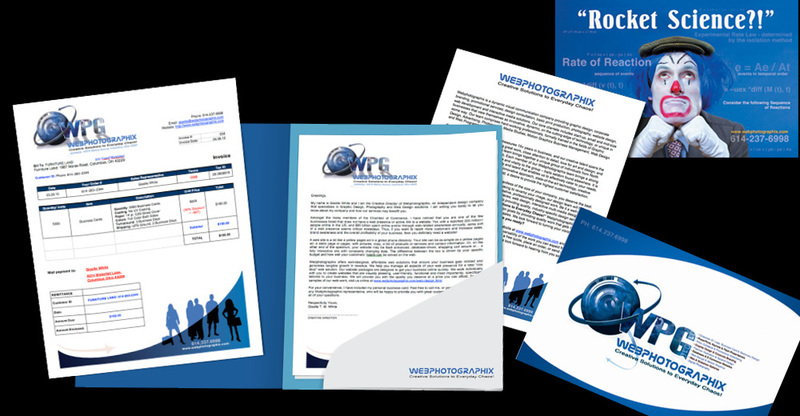 A Corporate Branding package comprising: Business Cards, Business Stationery (Letterhead, Envelope, Address Labels), Invoice, and Business Letters was put together. 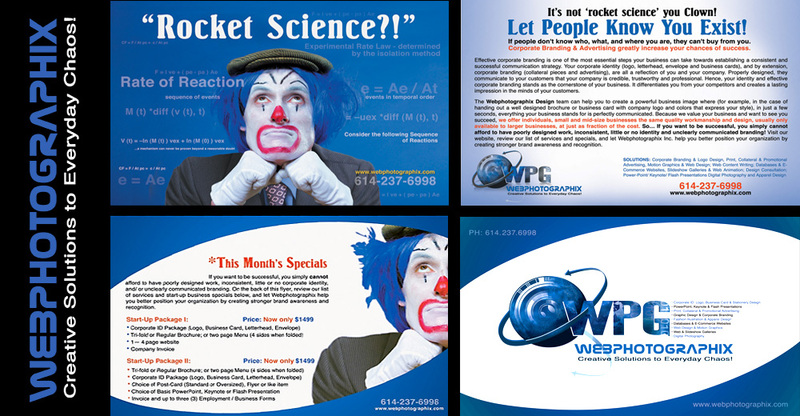 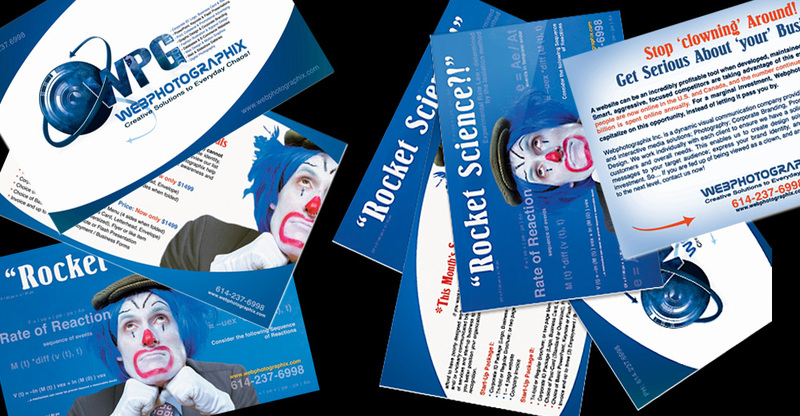 Marketing Materials including a promotional Post Cards, Website, Brochure, Labels and Stickers were created.